The Heavy Haulers are back and hauling more than ever! Do you wake up thinking about GTM's? Do you dream about train speed? Do you like to burn mega calories while fundraising for a great cause? If you answered yes to any of these questions, then you have what it takes to be a Heavy Hauler! 2) Support our KJ monsters by making a donation through our friendraiser page. 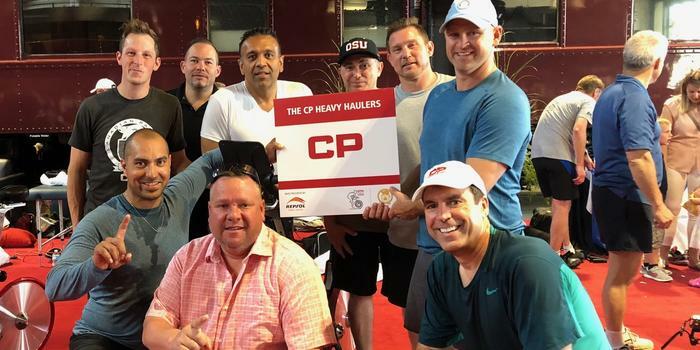 Every $1 donated through this page gets matched by CP and goes towards building homes for Veterans. DO YOU WANT TO BE A HEAVY HAULER? JOIN US BY MAKING A DONATION TODAY! In it to win it! ...and raise money for a great cause. On our way to being #1 again! The Heavy Haulers are back!